In the previous article, we got to the stage where we had this. 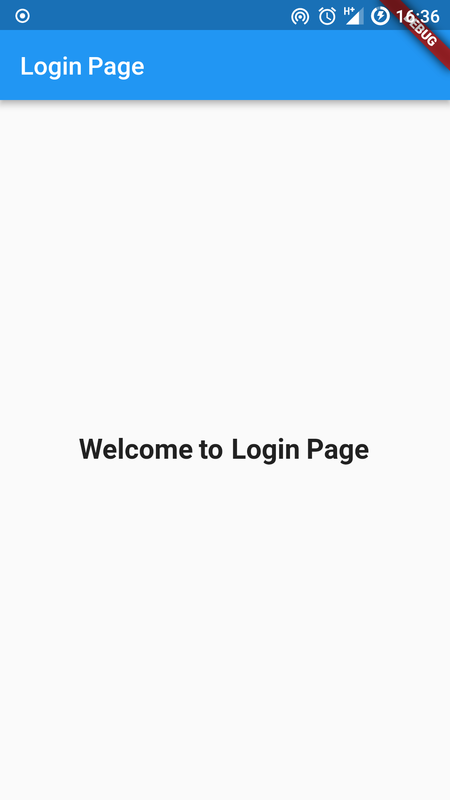 In this article, we’ll continue with the making of our end result Login Page by working on the routing part. Routing is one of the first features of any framework I try to grasp as soon as possible. Moving from one screen/page/view to another is a staple of mobile and web applications. 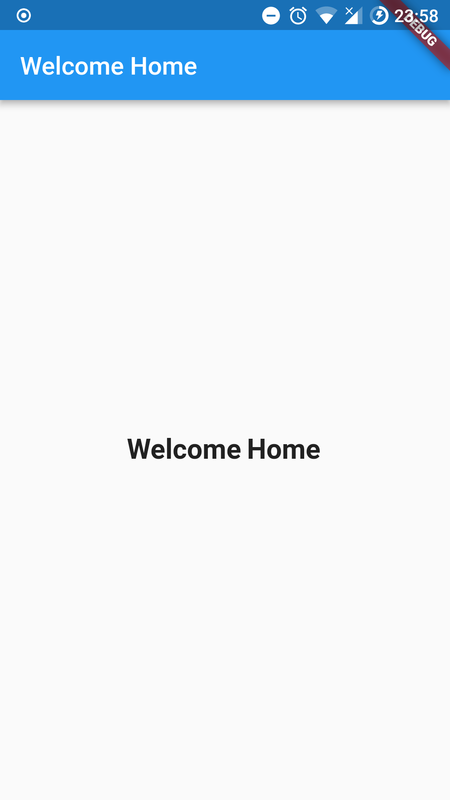 Fortunately, Flutter makes navigation and routing seamless. We’re going to start our routing. To keep things clean, how about we keep our routes in a separate file, say, routing.dart? Well let’s do that then. Remember we said the MaterialApp() widget comes with a few tricks up its sleeves? Let’s enjoy two of them. Keep calm, and please follow along. We only replaced all the meat under the MaterialApp() with the initialRoute and routes widgets. The initialRoute, well does what its name suggests, loads an initial route, which points to a Widget responsible for that. We’ve imported the routing.dartwhich contains the routes. A few extra changes for us to make. Homepage is homepage. 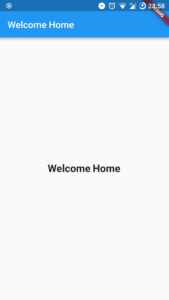 We’ll simply want to display the “Welcome” text on the homepage for now. 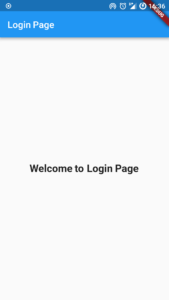 So we wanna add a button to the login page, and when tapped on, navigate the user the the homepage. To do that, we’ll need to add a button. Adding a button would involve a bit of gymnastics. But I’ve got you. Let’s learn a few more of Flutter, namely, the Layouts. And that child is the Text(..) widget. So can we add multiple ‘childs’? Yeah, but since Center widget accepts only a single child, we need something that’ll allow us add children. We add the Container() widget, which allows for only 1 child widget. Then we pass in a ListView widget as a child of the Container. The ListView is a widget that allows us to have many children, and so we see the children widget there. Let’s take a pause here. We’re beautifully handling padding with the EdgeInsets widget, which has the method only(), which takes in values for specific LTRB (Left Top Right Bottom) values, in double. You don’t write 48. You say, 48.0, always. Hover over the Container widget in vscode to learn all the other widgets allowed in it. Same with the ListView widget. You have kids? I don’t. Whatever the case, we can all have children in Flutter. You know the Center widget already, so not much talking on that for now. The SizedBox()is pretty cool! It creates a fixed size box. In the case of the above, we created a box of height 34.0. Then next is the RaisedButton() widget, which creates a button. Duh! What it does and how to style should come obvious, looking at the code, right? The interesting part for us here is when the button is pressed, we want to go to the homepage. We do that by responding to the onPressed()method with a Navigator.pushNamed(), passing in the context and the named route from the routing.dart file. That should get us this, with the button opening the Home Page. 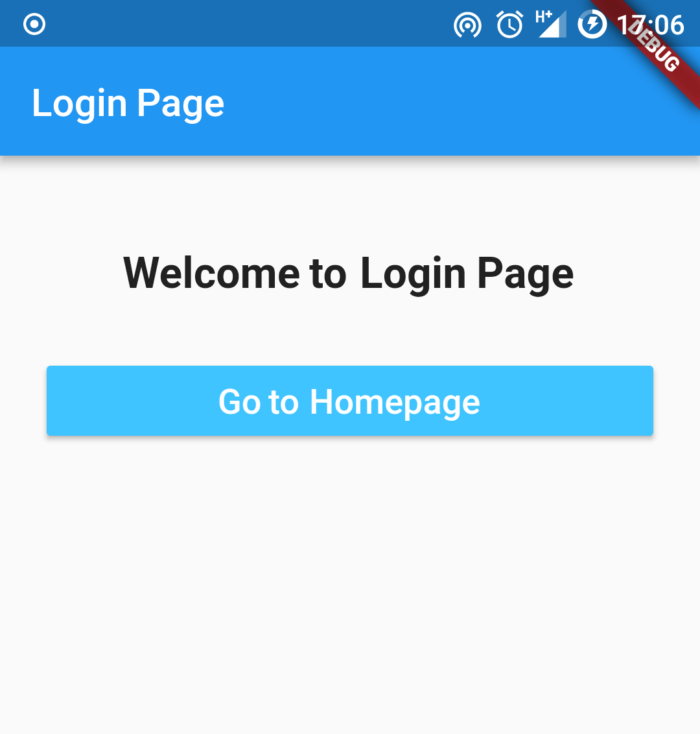 At this stage, you have at least a fair idea of how routing and navigation happens in Flutter. The next article will consider adding the forms.